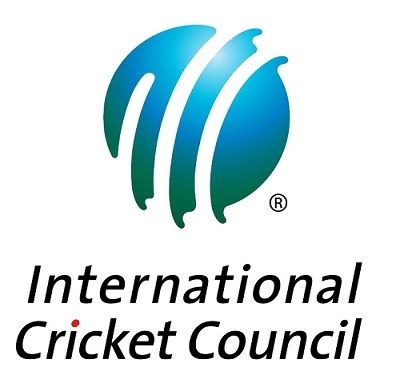 ICC T20 world cup (formerly known as World T20) is the prestigious cricket event which is usually contested in every two years and it is organized by International Cricket Council. Men’s first edition of T20 world cup was played in 2007, hosted in South Africa. India won the first ICC world twenty20 competition by defeating Pakistan in the final match. 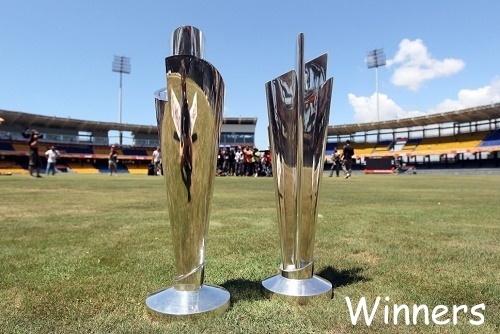 Since 2007, six ICC men’s t20 World cup tournaments have been concluded successfully and the latest edition was played in India from 8 March to 3 April 2016 which was won by West Indies by defeating England in the final played at Eden Gardens. West Indies is the most successful team of men’s twenty20 world cup as they are the winners of two championships in 2012 and 2016. Let’s have a look at the list of ICC T20 world cup winners so far. 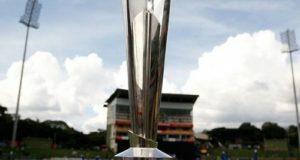 Which team will win ICC men’s twenty20 world cup in 2020 in Australia? Share your views in the comment area. Waiting for T20 world cup sixth edition quite badly and will be looking forward to see who will win 2016 ICC World T20. Will it be from previous champions India, Pakistan, England, West Indies and Sri lanka or from other top teams like Australia, South Africa and New Zealand. It will be interesting to watch out who’ll be the 6th champion in ICC World twenty20. have u checked raina performaince in T20 world cup. check it out first. agar wo aata to score 192 tk b ni puhnch pata. you are right naina because. we know that raina is a best player and best played in t20 format but bad luck for in this t20 world cup. 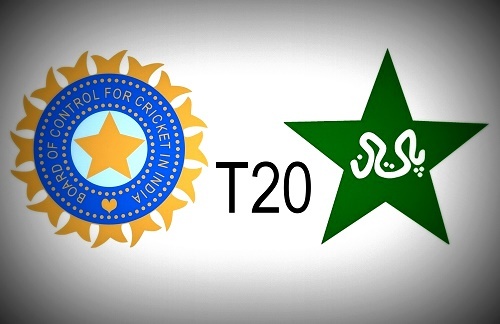 India wil win the match of t20 wld cup. No host country won T20 since inception and also no country won it 2nd time. Going by this the potential winner can be one from Australia, South Africa or New Zealand teams this time. Yeah, the same thing was said she India hosted WC ODI in2011. But, what happened? South Africa or newziland will take cup. Enjoy the day today is imreasive match between aus Vs india enjoy the day..
Yay india qualified to semifinal hope it will go to final and win it. India will win the T20 world cup. 100% sure . Definitely India will win. No doubt. I hope India will win the World T20 2016 match if Kohli and Yuvi do the same show with other two teams too. Really 3 Mind blowing match from team India, really nice team-work. In this world cup Kohli, Yuvi Hardik Pandya, Jaddu, Aswin are real heros in this world cup. If other players are also do their work no one beat India. India is definataly win because its time for mauka mauka………. Of all the Thread you called it right man!! You are all fools! 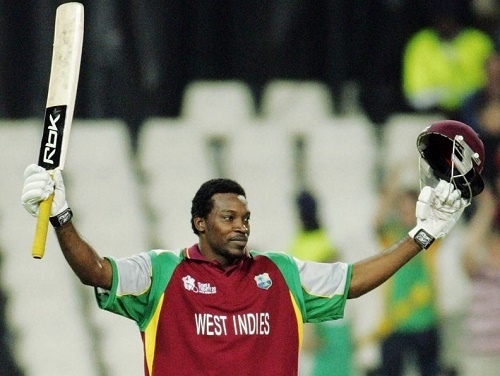 West Indies will become the 1st team to win this tournament twice! Loved the look of the home crowd when they were nervous. Indians only sing when they are winning! even though India lost the semifinal ,they did not lose it badly ! ENGLAND WILL WIN THIS WORLD CUP ! west indies will LOSE it ! Of course, West indies deserve it. West Indies stronger team. Good Luck West Indies! 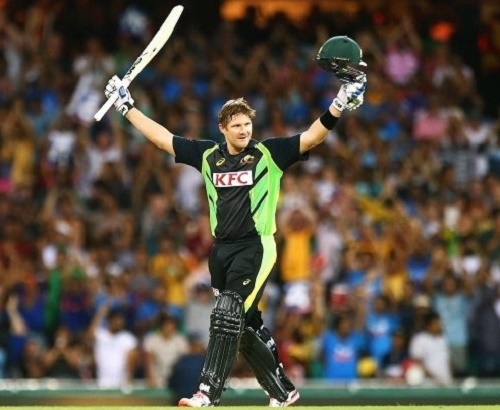 One team beat India ..and other beat the team which had beat India……..So India is in fourth place…. I prefer England to win……Tough team to beat…. hahahahah three lions are weeping. All the best for both the teams today. But I will be supporting West Indies. Next T20 world cup is in 2018. I hope India will win that tournament. The west indies won the Icc world twenty20 2016 against England and became the first team to win the icc world twenty20 twice! In 2012 and 2016. 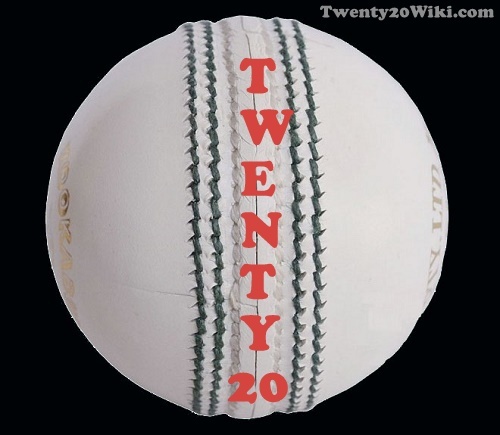 It was said that the next icc world twenty20 tournament is in year 2020. Good comment by that time.